With America in the peace conference, many questions arose which have never before been debated, and regarding which a great deal of inaccurate information has been disseminated here. The question of Fiume is one of these. It is not merely an Italian question or a Jugo-Slav question. If the people of Fiume are not given their right of self-determination, as promised by President Wilson in his “fourteen points;” how can the league of nations be expected to function? Geography, history, ethnography are in perfect accord with President Wilson's point. It is with a view of giving the American public accurate data, not only regarding the rights of Fiume to self-determination, but also Italy's part in the world war, that this booklet has been compiled and purposely made as brief as possible, so that the reader may at a glance realize that Italy asks solely what is hers by geographic, national right and by reason of her sacrifices in the cause of humanity. Chairman Federation Italo-American Irredentist Associations. Chairman New York State Senate. Ex-Chairman First Italian Division Liberty Loan Committee, New York. Former Governor of Italian Somaliland, East Africa. Secretary General, Federation Italo-American Irredentist Associations. If the city of Fiume has assumed world's importance It is because of its irresistable Italianity, the denial of which would be a denial of Justice. Most people try to identify Flume with Tarsatica, rebuilt after its destruction, clear traces of which were found in the Roman foundations on which the mediaval city was built. The ancient Roman “Oppidum,” for such Tarsatica had been, reappears in the Middle Aires under the name of “San Vito al Fiume,” known later as Fiume. 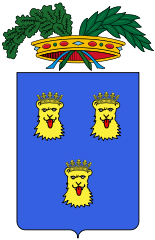 Fiume, from its foundation a free municipality, was for some time under the dominion of the Franks; then it became successively a fief of the Bishop of Pedena, of the Bishop of Pola, of the Lords of Walsee, and finally of the Hapsburgs. For 30 years only, in the fourteenth century, Fiume was held in pledge by the Croatian family of the Frangipani (the Frankopan). In 1752 Flume was made part of the government of Trieste, a union that was but natural. All documents relative to the city of Fiume bear witness to Its uninterruptedly Italian character, which victoriously survived the Slav Invasion from the Danubian region In the seventh century. In 1776 Maria Theresa, then paramount ruler over Hungary and Croatia, incorporated Flume, not to Croatia, as some student of history has erroneously stated, but to Hungary, through Croatia, then a part of the Kingdom of Hungary. Later on, as a result of the protests of the inhabitants of Fiume, a Royal decree of April, 1779, proclaimed Fiume to be a “separate body annexed to the crown of the Kingdom of Hungary,” and the formula adopted by Maria Theresa could not have been clearer or more effective in declaring Fiume to be a quite distinct body, directly connected with the Royal Crown of Hungary, and having no connection whatever with Croatia. During the Hungarian revolution of 1848, when the Magyars were entertaining aspirations to national freedom, Fiume was taken from Hungary by the Croatians of the Bana Jelacco, who, as always, had remained faithful to the Hapsburgs and held on to it for 19 years without success in spite of their strenuous endeavors to undermine its Italian character, until 1867, in the dualistic settlement between Austria and Hungary, it was restored to Hungary. In 1868 deputations from the Kingdom of Hungary, Croatia and Flume met at Budapest and decided that the free city of Fiume and its territory should remain, in accordance with the charter of 1779, provisionally annexed to Hungary, as a separate body. Such was the constitutional situation of Fiume until April 29, 1919. The Italian character of Fiume is irrefutably proved besides by the official census. According to the returns for 1910 the Italians in Fiume numbered 24,000, plus 6,000 Italian citizens, most of whom were members of Italian Fiuman families who had obtained Italian citizenship. It must be remembered that here is a question of authentic Italians, not of Italianized Slavs, as M. Protch, prime minister of the Serbo-Croat-Slovene Government has said. It is impossible to see how he could prove his statement. The Slavs (Croats, Serbs, and some Slovenes) were 12,000 and the Magyars 5,400. Therefore the existence of a 57 per cent majority on the Italian side is at any rate borne out by official statistics. As a matter of fact, the number of Italians belonging to the permanent population of Fiume before the war is well proven by official figures notoriously manipulated against Italian interests. Moreover, the nationality of Fiume is also confirmed by the fact that all mayors and deputies of the city have always been Italian, as well as the members of the municipal council. 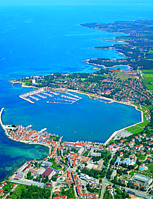 All schools at Fiume are Italian; the number of children attending the Croatian schools at Sussak, the neighboring city, is hardly 1 per cent of the total number of school children in Fiume. The Jugo-Slav commerce passing through Fiume is only 7 per cent of the whole traffic of the port. Out of the total Jugo-Slav Importation and exportation 13 per cent goes through Fiume and 87 per cent, goes through Dalmatian ports. The voices of the dead join the voices of the living in proclaiming once more the Italianism of Fiume. In fact, a census of the sepulchral epitaphs taken in Flume dated from the sixteenth to the nineteenth century, 83 are written in Latin, 7 in Italian, 2 in German, and only 1 in Croatian. 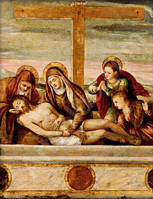 The sepulchral epitaphs that were put on the tombs of the Fiume cemetery during the later century are 2,853, of which 2,301 are in Italian, 343 in Latin and German, and only 206 Croatian. Another merit of the census is that of having proven false the puerile assertion of the Croats that Fiume had been Italianized recently through the efforts of the Hungarians. Statistical data, on the other hand, follow the gradual increase of the Croatian epigraphy while our epoch approached. In fact, from 1800 to 1866 there does not exist even a single inscription in Croatian, proof that Croatian Immigration into Fiume is of recent development, and the further one goes back into the past the more evident becomes the Italianism of Fiume. “The population of Fiume, assembled under the Italian flag in the presence of representatives of the glorious American Army, replies to your proclamation by conferring full power over the city upon the representatives of the Italian movement. In the name of our dead on the Piave and on the Isonzo, we express to you our greatest gratitude for provoking, with your attitude, the highest and most solemn manifestation In favor of Italian sentiment which this city could make before the world. 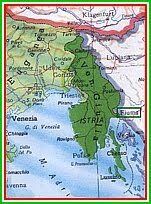 Neither Gen. Grazloli, commander of the Allied troops and military governor of Flume, nor the Italian Government accepted officially the annexation to Italy, because Italy wanted as long as possible to act in full agreement with the Allies. For the people of Fiume the annexation remains an accomplished fact, and will be so the moment the Italian Parliament officially accepts the annexation of the Italian city of Fiume. That the decision of Fiume is irrevocable and that the people are tired and hurt by the Incomprehensible delays appears from the following document received by tile members of the peace congress: May 26. The National Council of Fiume considers the plebiscite of October 30 an ineffaceable, juridical, and historical fact by which from that time the territory and city of Fiume have been virtually reunited to Italy. The national council declares that it can not permit that the fate of Fiume be deliberated at Paris without the consent of the inhabitants of Fiume, and that it will never consent that the recognition of the rights of Fiume he attained through humiliating commercial negotiations. Anyone wishing to change existing facts in Fiume should come and try to impose such a change by force. Fiume awaits with calm resolution violence from any source, so that exact expression of the sentiments of the Allies may be obtained and so that each one may now realize the responsibility to be assigned to him in history. The historical boundaries of the free city of Fiume and its territory were established by imperial patent, issued by Ferdinand I on July 20, 1530, recognized by Marie Theresa in 1779, and finally by the Hungarian Government In 1868. A glance at the map of Europe shows even a boy that the great strategic, geographic, and ethnic frontier that separates the Latin from the Germanic world is, according to nature's own aims, on the Rhine River and on the Alps of the Brenner region. The same glance shows also that a powerful extension of the same Alpine barrier separates the Latin from the Slavic world along the crests of the Julian, Velebit, and Dinaric Alps from the borders of Carinthia all the way down parallel with the Adriatic shore to the borders of Montenegro. West of the Dinaric Alps lie Istria, Dalmatia, and the whole basis of the Adriatic, an integral part of the Latin civilization, while on the eastern slopes of those Alps is found the great orographic basin of the Danube River, into which run all the rivers of Jugo-Slavia, like the Save, the Drave, and others, and on which is built the future metropolis of the new commonwealth, Belgrade, while none of the Jugo-Slavic rivers run into the Adriatic. The Danube, that incomparable inland waterway, is the orographic, ethnographic, and economic outlet of Croatia and the other Jugo-Slav countries from Vienna to the Black Sea. History. — What the Germans did in Alsace-Lorraine the Austrians did in Gorizia, Trieste, Istria, Fiume, and especially in Dalmatia, mostly since 1860, in an effort to “Croatize” that part of Italy. But history can not be destroyed. 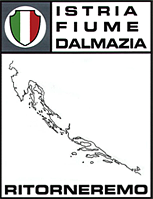 Dalmatia, “the Chile of the Adriatic,” and its contiguous island were Roman colonies as early as two centuries before Christ. Dalmatia gave Rome one of her greatest emperors in the person of Diocletian, whose monumental palaces, completed in 303, are still pointed out with pride by the natives of Spalato as worthy to rank among the “seven wonders,” just as “most Italian Fiume” points to the triumphal arch of another Roman Emperor, Claudius II, and to her Venetian Basilica of San Vito; as Sebenico's Cathedral, also of Venetian origin and design, is the pride of all Dalmatia. The cathedral of Santa Anastasia in Zara, capital of the “Kingdom of Dalmatia” (as its official name still is), was founded in 1202 by Enrico Dandolo, Doge of Venice. Her Campanile di Santa Maria is a century older. Zara has also preserved with care her old Roman Tower, her Roman aqueduct, and her ancient Loggia del Comune, with its 34,000 volumes and invaluable Latin and other manuscripts. A mere nomenclature of Dalmatia's Roman and Venetian antiquities and archeological remains would fill volumes. Many of the greatest among Italian poets and authors were natives of Dalmatia. Tommaseo is one of them. The whole eastern coast of the Adriatic has given to Rome, Venice and Italy down to the present day thousands upon thousands of patriots, soldiers, and martyrs. Oberdan, of Trieste, and Sauro, of Capo d'Istria (Istria), are among the latest and greatest, along with Riamondo of Spalato (Dalmatia), who have honored and hallowed Austria's scaffold by dying upon it for Italy's sake In 1917. 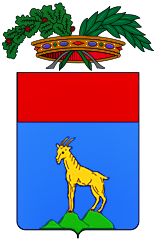 Several of the political refugees from the eastern coast of the Adriatic have become ministers of the Kingdom of Italy: two of them, Gen. Zupelli, a native of Capo d'Istria (Istria), and Hon. Barzilai, a native of Trieste, were ministers during the recent war. The Adriatic Sea was for upward of 20 centuries a Latin lake, the “Mare Nostrum” of Rome, then of Venice, including the whole eastern coast. From 1805 to 1815 it was a Province of the Kingdom of Italy. After the fall of Napoleon at Waterloo, the Congress of Vienna, 1815, handed over Venice, Istria, and Dalmatia to Austria. In 1848 Venice arose and revived the ancient republic, and for 18 months held at bay, single-handed, the forces of the whole Austrian Empire, and was subdued only by starvation and cholera, and her ancient dominions were plunged into deeper and more abject servitude. But it was when the new Kingdom of Italy came into existence, 1861, that the worst came for the Italian region under Austrian rule. The Austrian Government started in earnest to kill off the Italian race and do away with the Italian language in Trentino, Gorizia, Trieste, Fiume, Istria, and Dalmatia, and to transform the Adriatic into a German lake. The outrageous conditions under which unredeemed Italians were kept led to the war of 1866 and freed Venice. The cities of the Dalmatian coast made great preparations to give Italy's fleet a royal welcome, but the defeat of Lissa by Tegethoff prevented a landing. Austria then adopted such a cruel and vindictive policy against Dalmatia that it was goaded into a revolution in 1869, which gave the Austrian Government a pretext for wholesale executions. Murderous Croatian hands were let loose in those countries, where they perpetrated the most unspeakable horrors, second to none that were to be committed later by kultur in Belgium or Serbia. The scaffold, wholesale slaughters, and banishment laid whole sections waste; some of the victims made their escape to Italy, others across the Dinaric Alps, where they met with some humanity at the hands of the Turkish authorities. But 1878 came and the Congress of Berlin, when Austria also grabbed those former Turkish territories, and extended her rule over both slopes of the Dinaric Alps. From that hour, the native Italian cause in Dalmatia and vicinity seemed doomed, unless a miracle of Providence should intervene. Since 1878 Austria has been promoting a wholesale immigration of the Croatian rabble from the former Turkish territories, which have now adopted the new name of “Jugo-Slavia” given them by the late Crown Prince of Austria, Franz Ferdinand, a few years before the recent war. Famished hordes recently released from Mohammedan control crossed the Dinaric Alps, pounced upon defenseless Dalmatia and its old and marvelous civilization, its opulent cities, and under government protection endeavored to swamp the native element. They were given the franchise the day they landed there, and so manipulated and debauched the political life there that up to the day of the recent armistice political and municipal election in Dalmatia was a farce: and the native Italian interests and cause were looked upon as henceforth and forever a forlorn hope. The first sledge-hammer blow was dealt at the native Italian schools, that had existed there from time immemorial. They and the native teachers were systematically and inexorably clicked and stifled out of existence, and substituted by Croatian schools and teachers. The latter were ignorant, uncultured, and brutal. Italian was forbidden. Italian children were compelled to attend Croatian schools and cruelly discriminated against. The intruding teachers had full swing as to corporal punishment. The Press was gradually suppressed by the political machine, under sinister plausibilities and monumental lies. “Obdurate” native editors and publishers were blacklisted and eventually sentenced to ruinous fines, long terms in jail, and banished on the most preposterous pretexts. And an artificial Slav (Croatian) press was set up, sustained by the Government under thin disguise. The honorable and highly respected native Italian judiciary was also uprooted and disqualified by the same means. The judges were “retired” one by one, or “deposed” on bogus complaints or formal, trumped-up charges, while a set of arrogant, corrupt, and unscrupulous Croatian magistrates were installed on the Dalmatian bench. To them, ever since, no Italian need apply, justice and fairness being out of the question for the “rebels,” whose life in Dalmatia was made a curse and a burden. The Plebiscite: “All hail self-determination, as President Wilson proclaimed it,” said a great writer recently, “but it must be somewhat qualified or it can be used as a pretext for criminal injustice!” Clemenceau says the thug brought to justice has no right to self-determination to escape his fate. Suppose Bernstorff's underhand propaganda had succeeded in including a solid million of the Germanic population of rural Pennsylvania to demand annexation to Germany, would the President and America have bowed to it with a “God bless you”? Would a plebiscite in Alsace-Lorraine, under conditions created there by 48 years of German tyranny and the franchise granted to half a million immigrated Germans, have meant a real self-determination for those Provinces? France was too wise to hear of such a course. Let the highway robber disgorge first, then we may talk it over. The case of Dalmatia is identical with Alsace-Lorraine's, only aggravated by a longer foreign tyranny and worse conditions created by it under Austro-Croatian methods. A “plebiscite” in Dalmatia would be an outrage on the native population, upon common sense, truth, and humanity. The Croatians there are as much foreigners as the 700,000 Italians and the 500,000 Germans in New York. When all shall have been told and Italy shall have annexed all the lands of hitherto “unredeemed Italy,” Including all Dalmatia, Italy will have reaped less advantages proportionately and absolutely than any of the other nations concerned. Take it in square miles or in the number of people added to the kingdom, and you will find that Roumania will have more than doubled her territory and population. Serbia will have the treble or quadruple of both. With the most disinterested disposition, France will gather in her rightful heritage up to the Rhine. Even beaten Germany will be dangerously the gainer if allowed, in the name of self-determination, to swallow up the Teutonic parts of Austria. But if she should renounce or abandon her political rights on any of the cities and ports of Dalmatia, it would be tantamount to allowing the pan-Slavic camel to stick his nose into the Latin tent, and she would ere long have to fight another and wore life and death war. In this question all the Latin powers and the great Anglo-Saxon allies that have saved the world for freedom and democracy have a vital interest. For Italy to surrender to the Jugo-Slnvs what she rescued from Austria at such a staggering cost in blood and treasure would be the height of self-stultification and madness. She has suffered long enough from the mongrel frontiers imposed upon her by cruel neighbors, north and east. Long enough has she supplied distant cities and States with “windows” on her inner sea, and tolerated intruders in all those Roman-Venetian seaports of her eastern Adriatic coast. To have soundly thrashed Austria and liberated Dalmatia simply to surrender it to the Jugo-Slavs of Croatia because they became a “republic” would be tantamount to having licked Germany and liberated Alsace simply to surrender it to the Junkers of Prussia because they became a “republic” at the last gasp of the empire. Don't the big men at Rome and Paris see it? 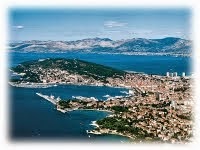 Are not the native rights of Dalmatia as good as those of our friends in Alsace, or those of the Poles in Posnania? Would the Peace Conference decree that the sporadic colonies of Croatians in Dalmatia and of German in Posnania and Alsace, have canceled the rights of the natives to decide the fate of the lands of their fathers? The Croats in Dalmatia, like the Germans in Alsace and Posnania, are just as truly immigrants in a foreign country as the millions of aliens that have lauded on the shores of America within the past 30 or 40 years. Indeed, they are as foreign as the German hordes that have invaded and occupied Belgium and northern France during the past four years. The President of the United States said that the Congress of Vienna was a “Congress of bosses” concerned with their own interests, not those of the people. The partition of Italy at Vienna was as cruel as that of Poland. 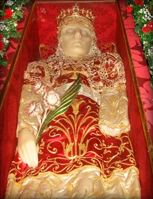 It took Italy a century of effort and tens of thousands of martyrs to rise again and complete her unity, which would not be complete if Dalmatia were to be excluded forever. Irredentism would lead to another war ere long, for the liberation of Dalmatia. 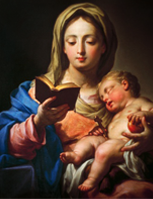 Italy, unfortunately, did not organize or finance a forceful propaganda to make her sacrifices known throughout the world, but, regardless of that fact, it is not disputed that Italy was faithful to her allies and has always been faithful to the cause of civilization. It is to be further regretted that Italy's aims and ambitions have been characterized as imperialistic and an infringment upon the newly created Jugo-Slav nation. Was it not Italy that received the Jugo-Slav representations in Rome in 1918? Was it not there that the Jugo-Slavic aspirations were first recognized, and was it not Premier Orlando who, in speaking for the Italian nation, promised to assist them in the realization of their rightful claims? Was Emperor Constantine an “Illyrian”?